Jhpiego empowers health care workers around the world to prevent, diagnose and treat malaria. Malaria is one of the most serious global health problems. 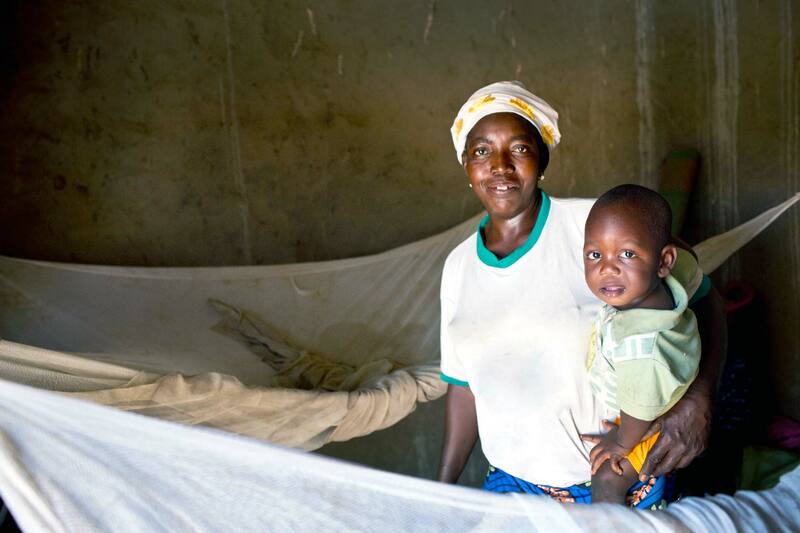 Pregnant women and children are most at risk of dying from malaria, but malaria is 100% preventable and treatable. In 2018, Jhpiego-supported programs provided 4.9 million (4,962,699) pregnant women with preventive treatment. 92% of these cases and 93% of the deaths occurred in Africa. We educate communities about the use of insecticide-treated bed nets and, where beneficial, provide preventive treatment for pregnant women and children under 5. We empower health workers at the community and facility levels to test for malaria and treat malaria cases. We support case detection, follow-up, investigation and data collection to understand the impact of the disease on communities. 1 Centers for Disease Control and Prevention (CDC): About Malaria: Frequently Asked Questions (FAQs), https://www.cdc.gov/malaria/about/faqs.html; CDC: Impact of Malaria, https://www.cdc.gov/malaria/malaria_worldwide/impact.html; World Health Organization (WHO): Malaria Fact Sheet, http://www.who.int/mediacentre/factsheets/fs094/en/; WHO: Malaria: Overview of malaria treatment, http://www.who.int/malaria/areas/treatment/overview/en/; WHO: Malaria: High-risk groups, http://www.who.int/malaria/areas/high_risk_groups/en/.